Summer Is coming to and end and we have an incredible special price on on a Toshiba Ducted air conditioning system we can supply it as a diy kit so you can save money on the basic installation side by installing all the vents and flexible ducting and mounting the fan coil unit your self. You can then get in the qualified trades to do the specialist work you cant. There is no guess work, we will do the design for you and tell you the size of machine required tailored for your home. To suit your style of living, we also provide a ducting design with all the correct size flexible ducting and motorised dampers to ensure your system is zoned correctly and performs when needed. systems on the market. One example would be the system has the fan coil concealed in the roof unit unlike a wall split system that has an indoor mounted Head in the room that it is heating or cooling. The ducted air conditioning system can also heat or cool more than one room at a time. 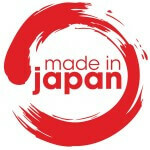 The Toshiba system is still manufactured in Japan which is a reflection on the products quality. The system comes standard with a 5 year warranty and uses the inverter technology along with the recognized R410A non ozone depleting refrigerant.